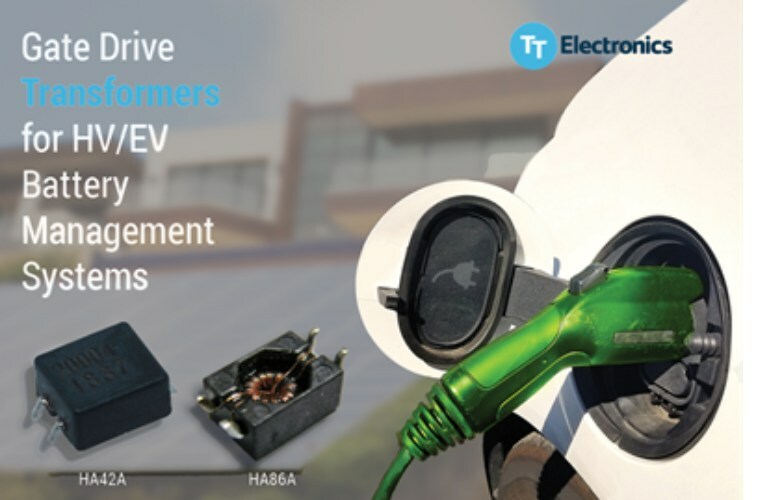 TT Electronics launched gate drive transformers HA42A and HA86A Series available in a wide assortment of packaging options for the latest Battery Management System (BMS). The small gate drive transformers featurs small size with high performance and reliability for a range of HV/EV automotive and industrial application requirements. The devices comes in surface mount design (SMD) solutions which are used in space-constrained applications to deliver controlling pulses while isolating the MOSFET and the controlling drive circuit. The new HA42A and HA86A gate drive transformers are mechanically robust with lower leakage inductance gives it the power to provide significantly reduced turn-on and turn-off delay time which results in better performance. In addition to this, the both devices are made of a toroid core ferrite material which enhances the roll-off inductance characteristics that maintain high efficiency without affecting temperature. All the devices comes with AEC-Q200 certification and RoHS compliance which makes them reliable and robust for demanding today’s automotive applications.